Where taxi drivers see a problem, Uber sees an opportunity. 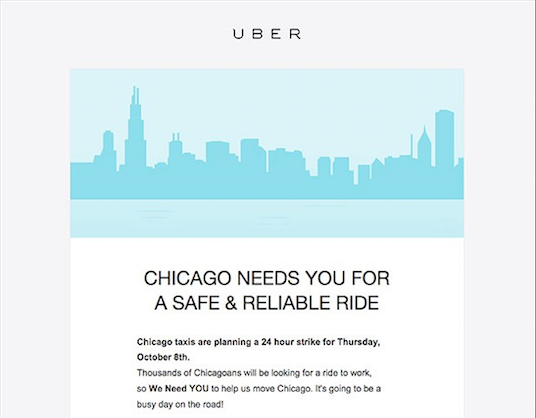 The rideshare behemoth encouraged its Chicago drivers to take advantage of a planned taxi strike Thursday. 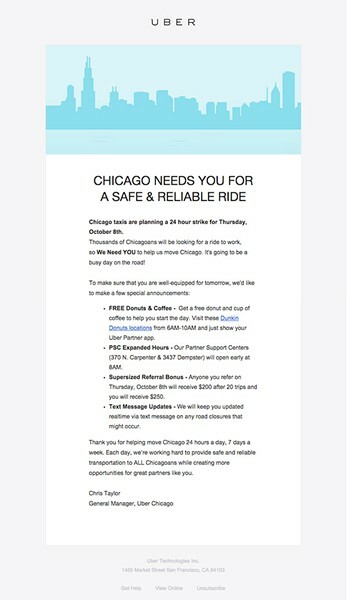 "Thousands of Chicagoans will be looking for a ride to work, so We Need YOU to help us move Chicago," Uber Chicago general manager Chris Taylor wrote in an e-mail Thursday. "It's going to be a busy day on the road!" 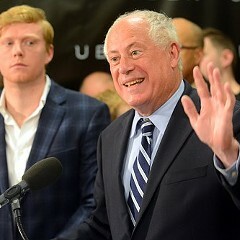 United Taxidrivers Community Council called for a citywide taxi strike to take place Thursday to protest Mayor Emanuel's plan to allow Uber and other rideshare services to pick up at the last bastions of sacred cabbie ground: the airports and McCormick Place. The advocacy group says that cabs have already lost 30 to 40 percent of their business to rideshare. 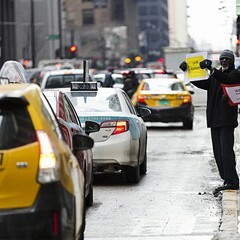 The strike was billed "A Day Without A Cab Driver." 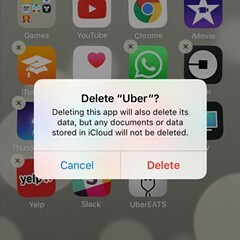 But that doesn’t include Uber, natch. 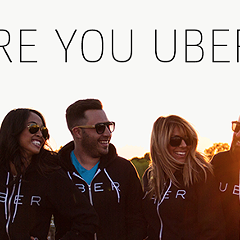 We've reached out to Uber for comment, and will update this post if we hear back.